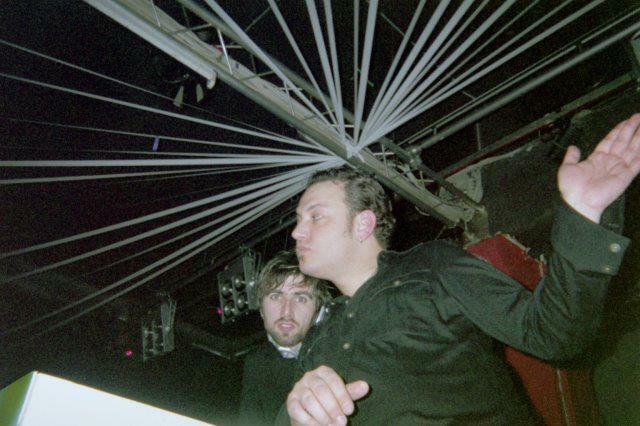 Have you ever heard of the infamous Italian “discotecas?” Essentially, they are temples of throbbing house music where young Italians spend their weekends, dancing, drinking, socializing, and getting out of their system what they will eventually out-grow of as they approach their 30’s (if not sooner). I was fortunate to have visited and lived in Italy several times during my late teen years and early to mid-twenties, the ripe time of “la gioventù” (roughly translated ‘the best of youth’), and my cousins made sure that I was fully exposed and integrated into the club culture of Torino. Numerous world-renowned House DJ’s have surfaced from this metropolitan Italian city, such as Gigi D’Agostino, Gabry Ponte, and Eiffel 65 (you may recall their big hit, Blue (Da Ba Dee)…”I’m blue da ba dee”), making Torino one of the planet’s hottest spots for keeping calm and getting your rave on. A typical “going-out” night wouldn’t begin until after dinner (which itself doesn’t usually begin until around 9 p.m.), but you are dressed for the clubs even before your first bite. Dinner doesn’t last 15 minutes, but rather a good hour or two, and at the completion of the meal, you have your fuel for the night – an espresso and digestivo (essentially a shot of something). As midnight approaches, detailed plans are ironed out, attendees, meeting places, etc., and it’s only then you venture out to the club of choice for that weekend. A lot of the more popular discotecas in Torino are huge, with several dance-floors, a couple of dj’s, and sometimes what seems like thousands of people. When you walk in, it appears everyone is dancing in unison, moving up and down individually but also as a group, set to the bass of the music, which takes control and practically everyone is bitten by the House bug. You dance for hours, and personally, I always enjoyed the crazy drinks that the Italian clubs are known for creating – always a changing selection amidst standard cocktails like “Gin Lemon” and “Cubre Libre” and occasionally a new trend like “L’Invisibile” – a combination of gin, vodka, clear rum, and I think clear tequila. It’s cray. In the early morning, usually after 6 a.m., you make your way home, guided by sun-rise, and either go to a local place for a bite, or head home and get in the kitchen. 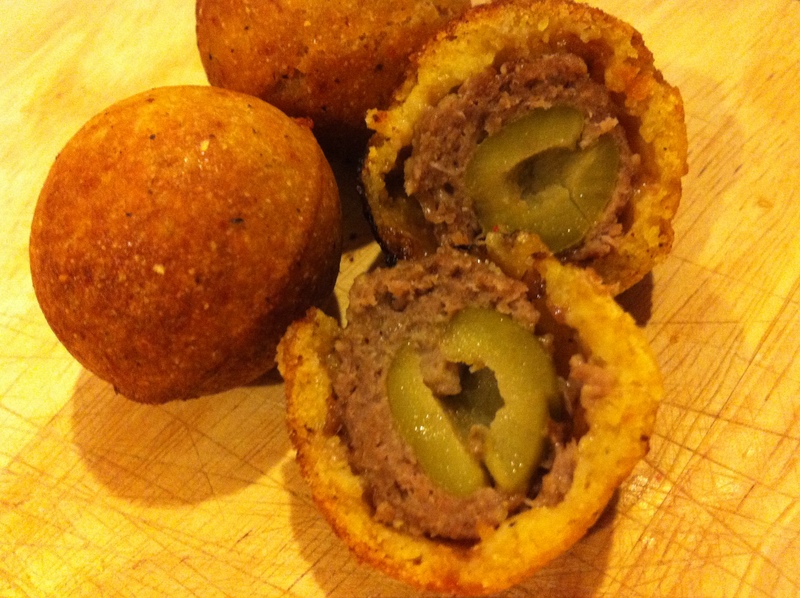 My cousins introduced me to something that I immediately began an addiction to, stuffed fried olives – essentially beef filled green olives that are breaded and fried. We would either make them or buy pre-made – either way, they aided in preventing I’m sure many hangovers. 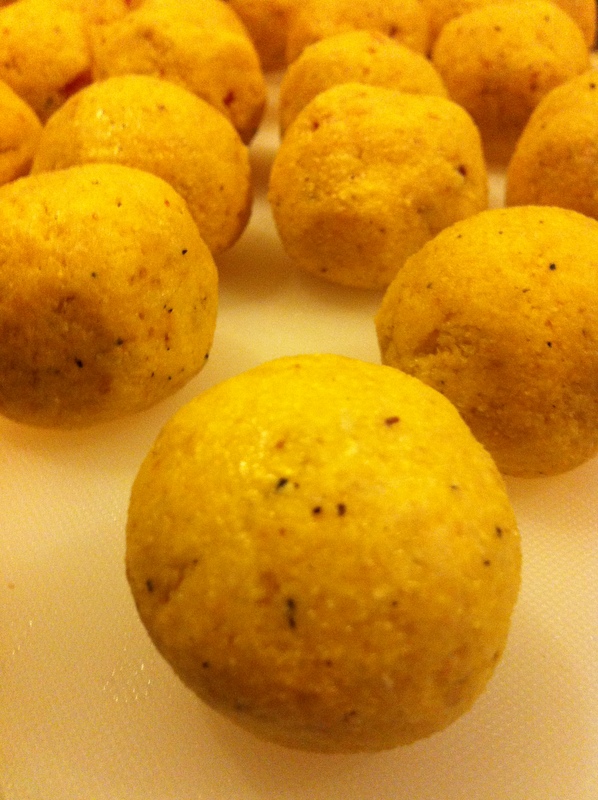 Here’s my take on that unforgettable time in my life and those memorable fried stuffed olives. Open and drain liquid from the can of olives. Set aside. 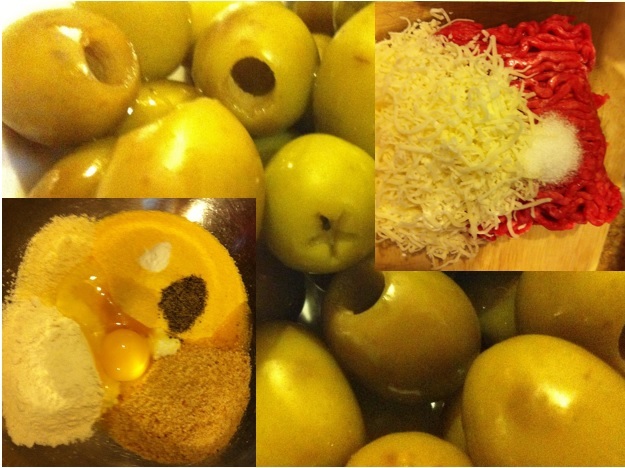 Mix all of the ingredients of both the inside and outside layers in two separate bowls. Take about 1/2 teaspoon of meat mixture and flatten into a round disc. Place an olive in the center and wrap the disc around it, covering the olive completely. 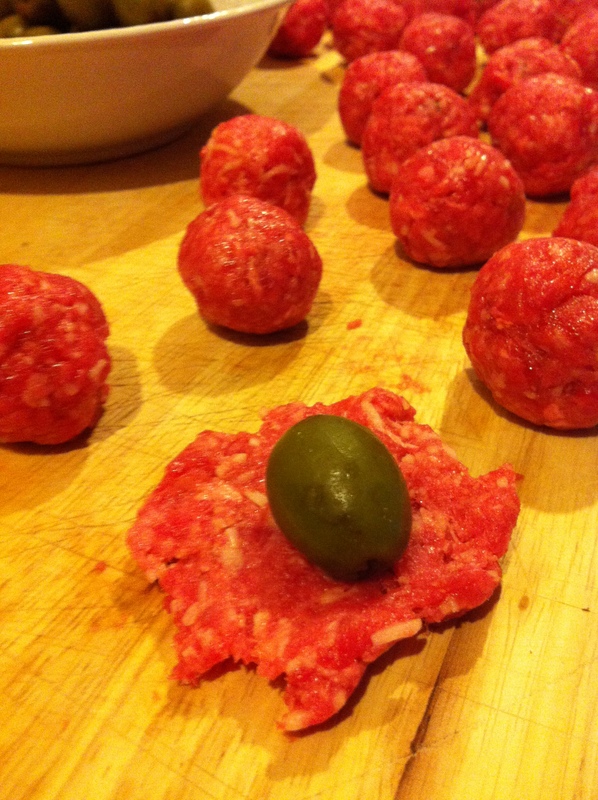 Once all the ‘meat olive balls’ are made, take about 1 tsp. 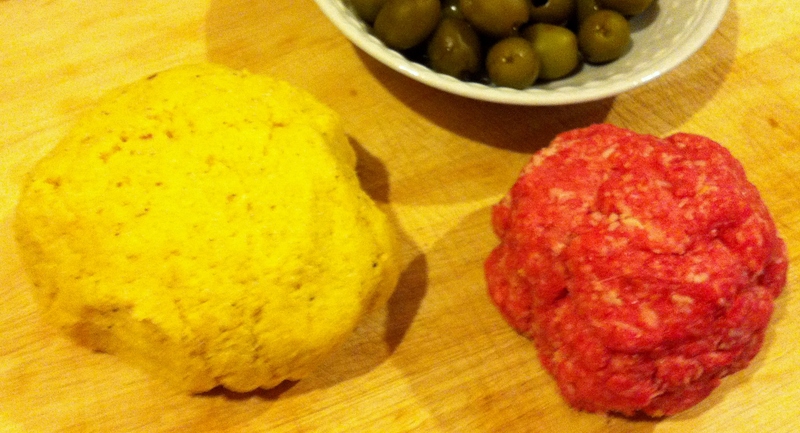 of the corn meal mixture, flatten into a disc, and wrap around the olive-meat ball (add a little more if the meat isn’t ‘covered’). Wet your fingers in a glass of water, and roll the balls in your hand, using your fingers and smoothing out the texture. Be sure to keep the size of the balls as small as possible – by making the ‘discs’ thin. The balls taste and cook better by doing so. 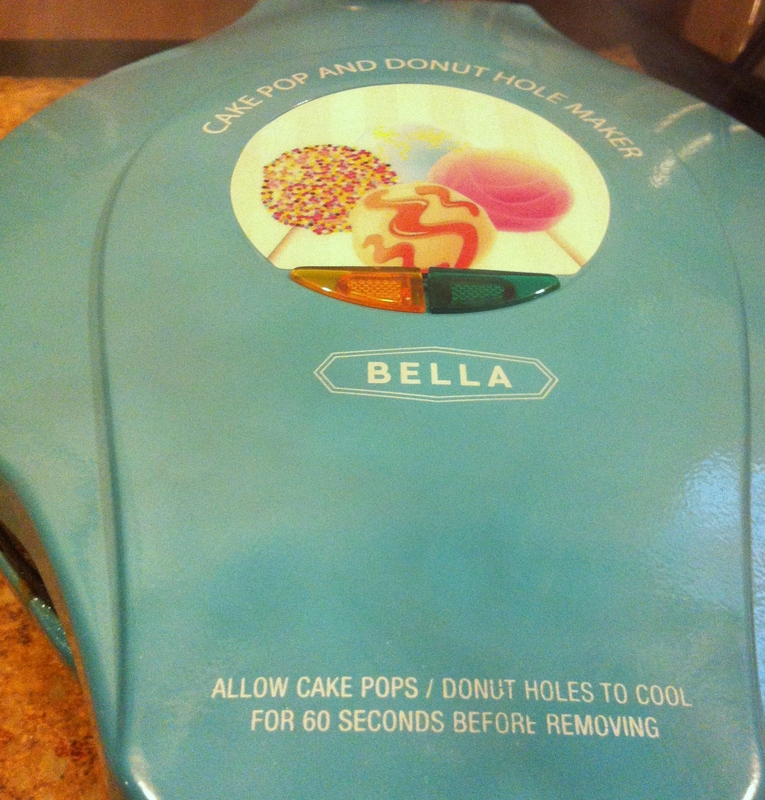 At this point, you can deep-fry the balls for about 5 minutes or I used a BELLA Cake-Pop Maker – cooking them for 6 minutes. 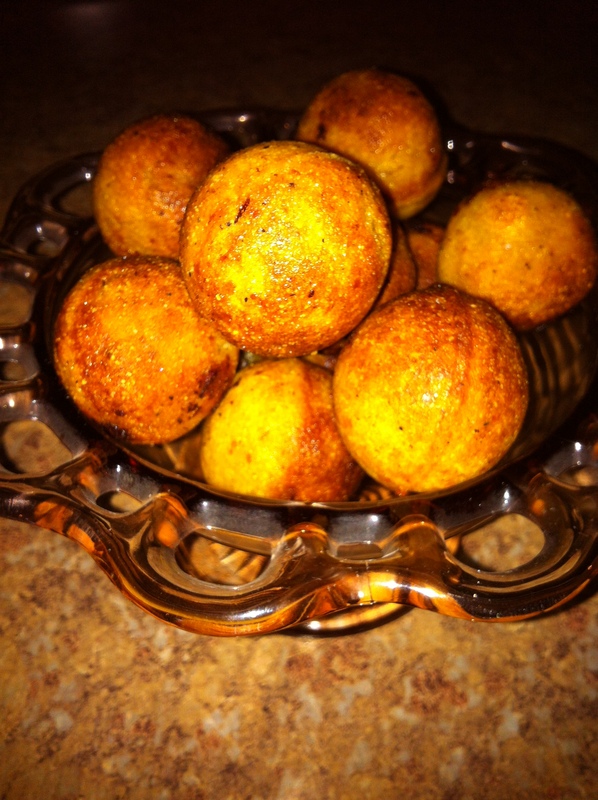 Spray the cake-pop maker or lightly grease, place the balls inside and cook for 6 minutes. Serve warm with toothpicks and an assortment of your favorite sauces – marinara, ranch, blue cheese – the choice is up to you! Buon Apetito! Makes an excellent party snack, after-hours delight, or appetizing intro to an Italian feast! Next Post: Béchamel…Oooh La La.